Housed in the unique and historic establishment of No. 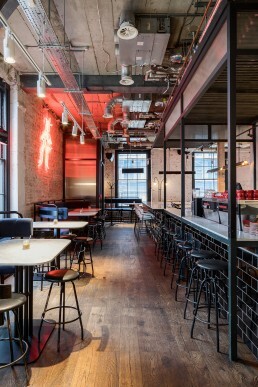 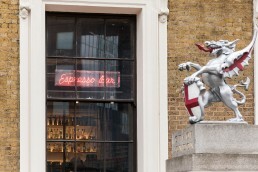 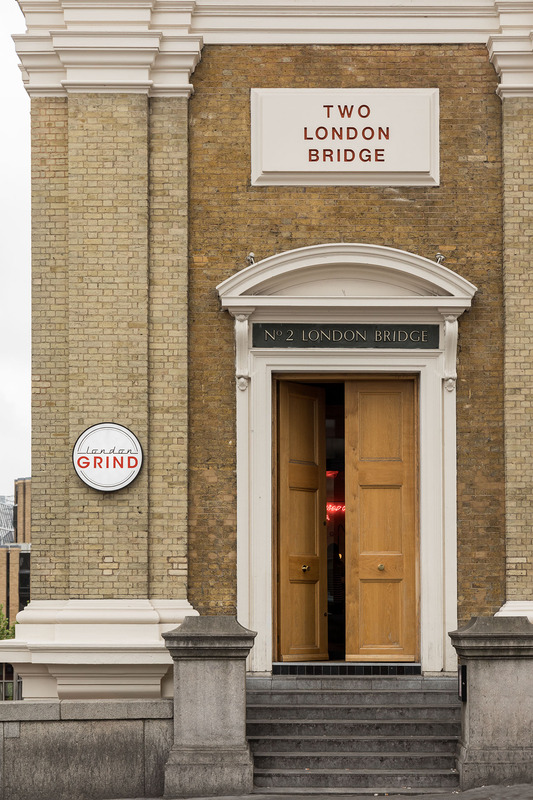 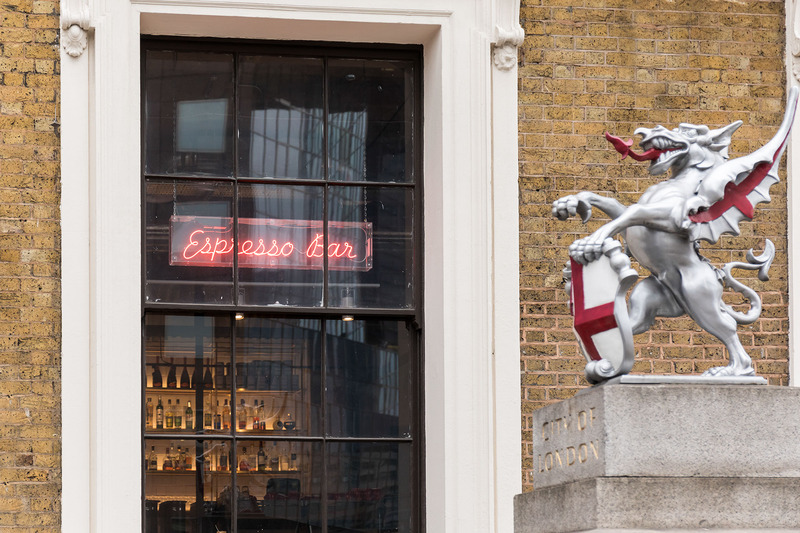 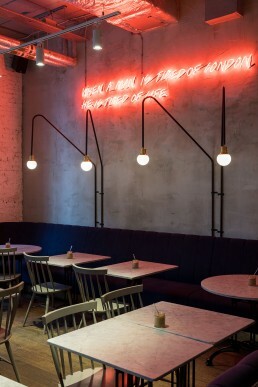 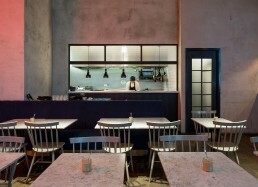 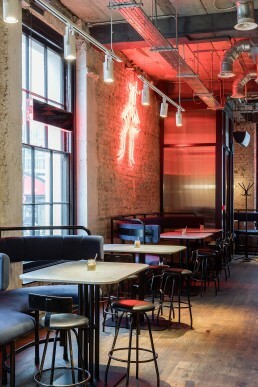 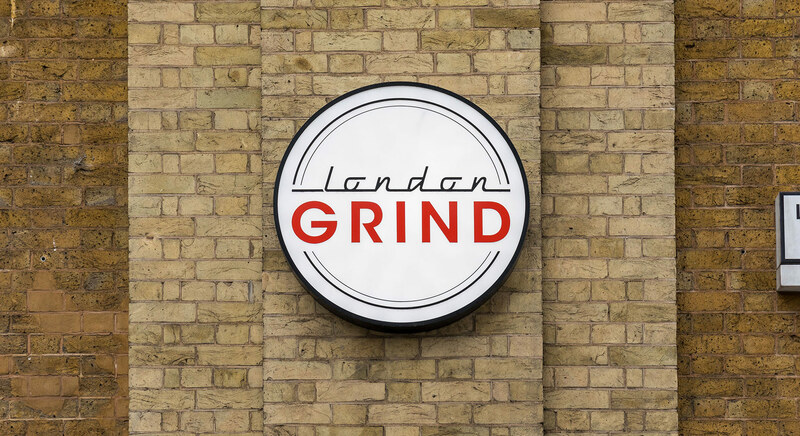 2 London Bridge, our London Grind concept is eclectic whilst respecting the heritage feel of the existing infrastructure. 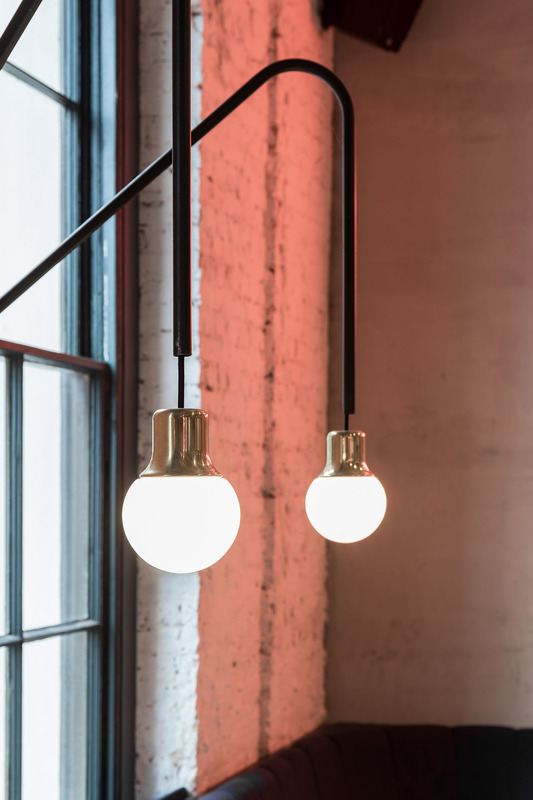 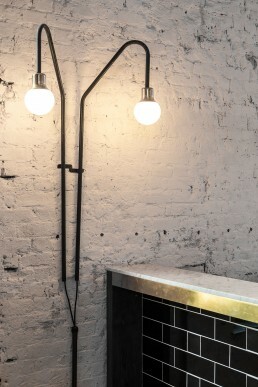 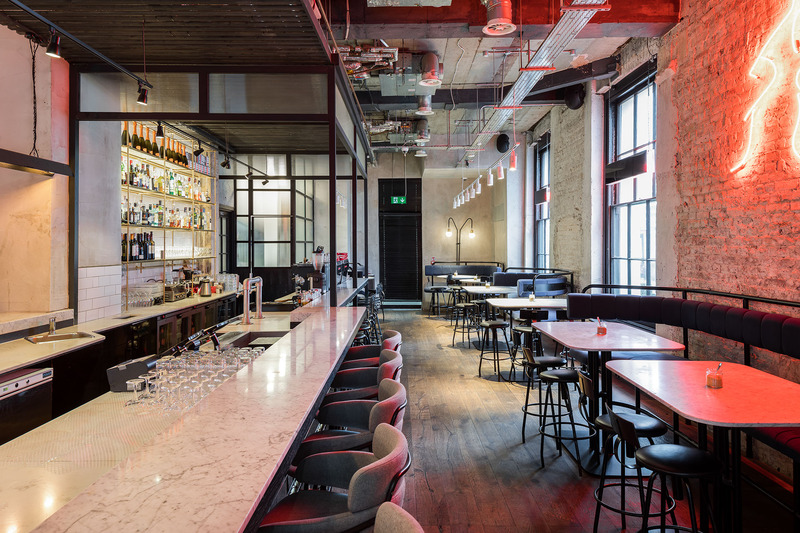 We exposed internal walls to reveal and celebrate the century old brickwork whilst maximising the use of natural light and its impressive five metre high ceilings. 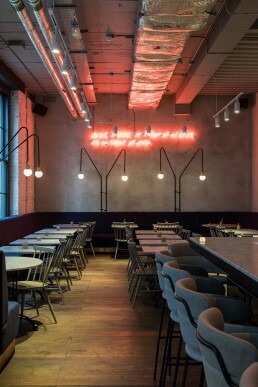 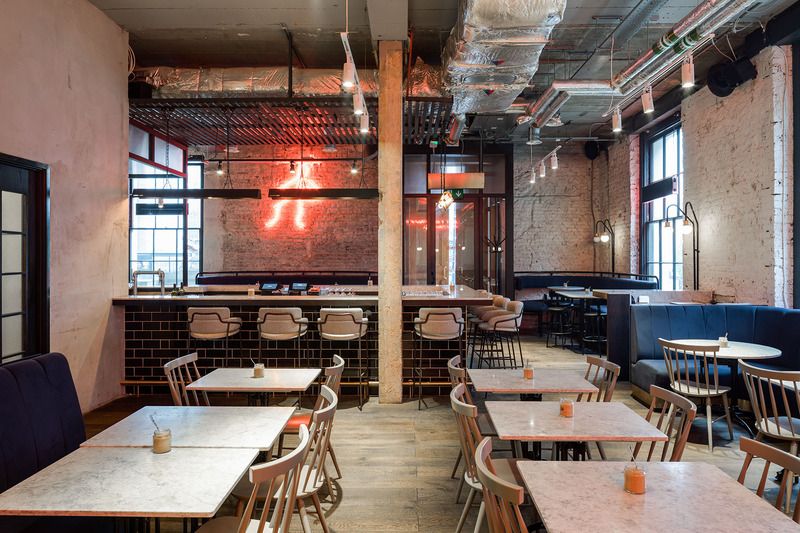 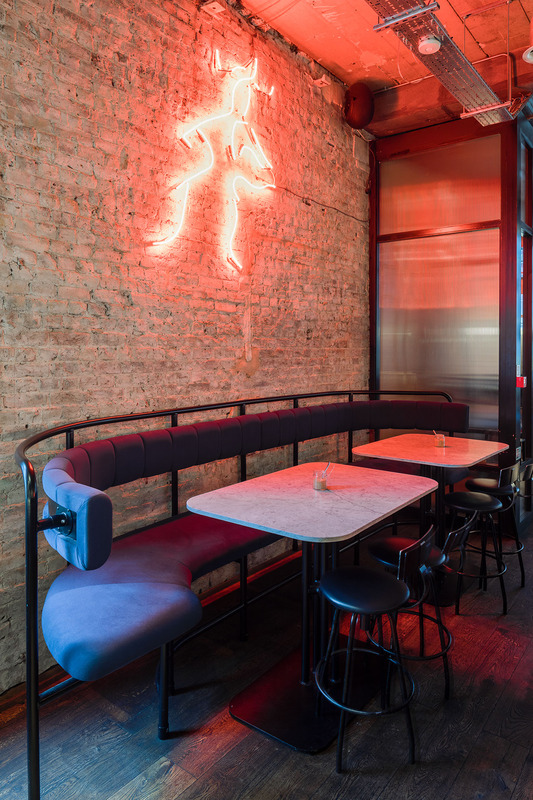 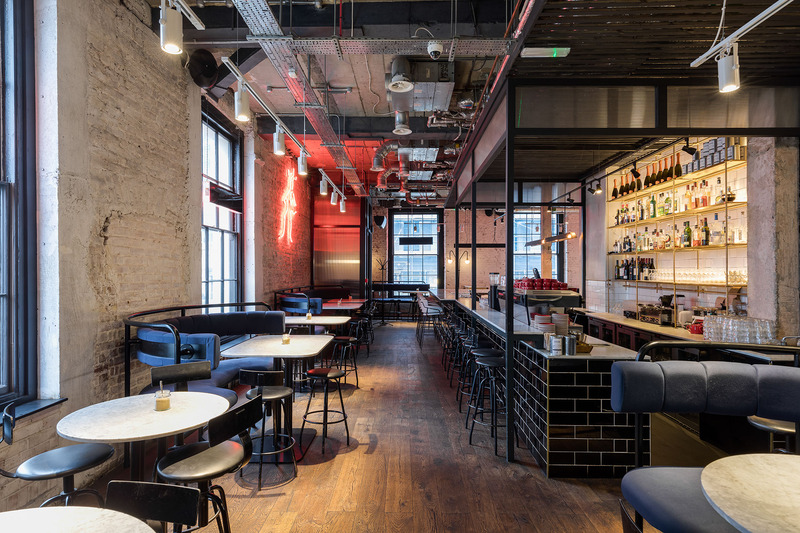 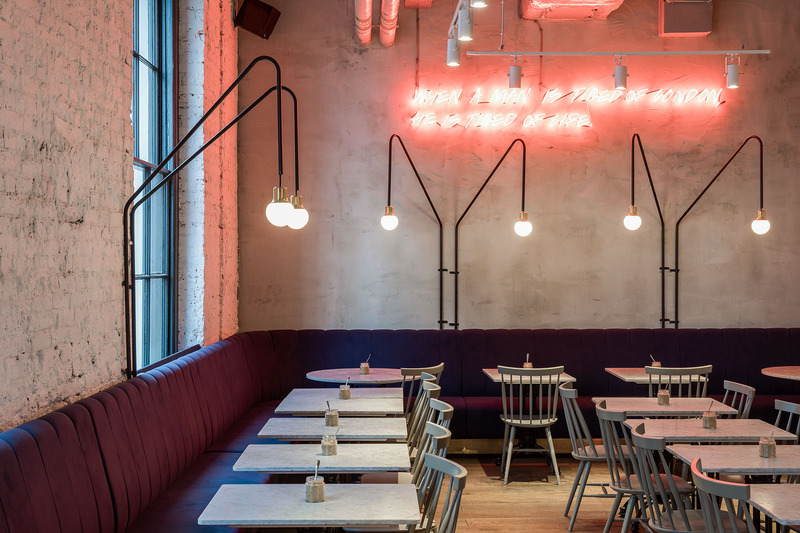 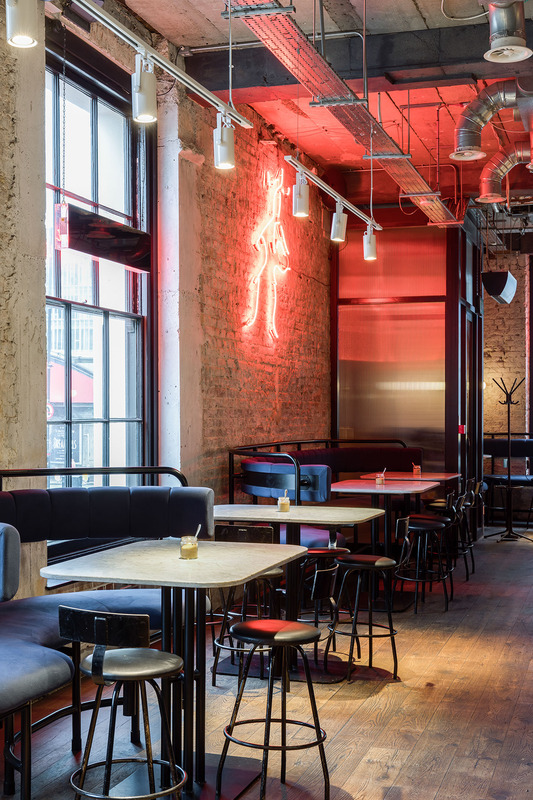 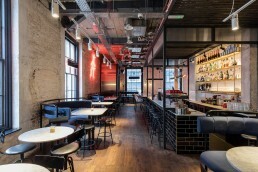 White marble bench tops and textured patina bar tiles were selected to contrast the concrete ceiling and reclaimed oak timber flooring. 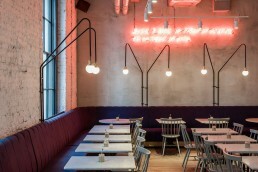 As the first Grind to operate as a full restaurant, patrons have the flexibility to choose to dine in the casual cafe area, bar or in the cosy surrounds of the restaurant banquette.